With the release of Kung Fu Panda 3 soon approaching, Foodbev Media has recently published an article regarding famous Chinese sauce brand Lee Kum Kee partnering up with big film studios, Twentieth Century Fox and Dreamworks Animation as part of its campaign ahead of release. Being targeted in supermarkets mainly across Western Europe, Lee Kum Kee are promoting their 'Let's Panda' campaign, with the spirit of ''Eat like a panda have fun like a Panda'' to raise awareness of healthier Chinese eating. They are offering a gift with purchase. 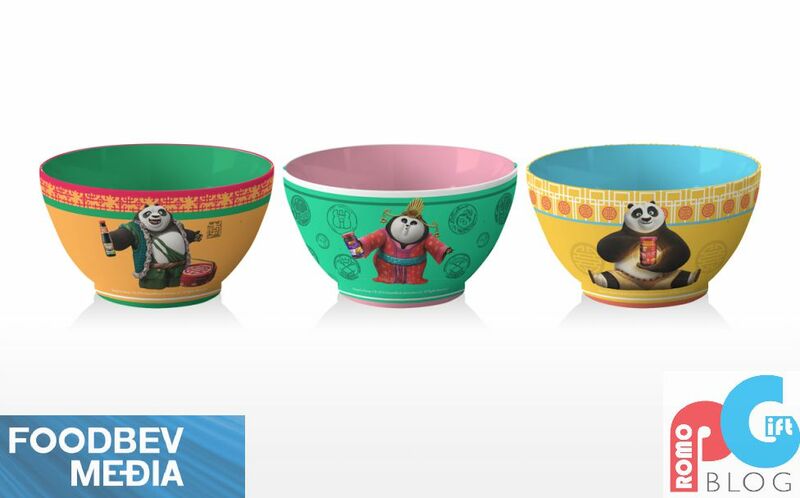 By buying three or more of Lee Kum Kee's products you will receive one of four collectible Kung Fu Panda branded noodle bowls. They are also offering a photo-competition offering customers the chance to win more movie merchandise including aprons, lanterns and recipe notebooks - as well as the chance to win a family trip to a European country to see real Panda's! Why offer gift with purchase promotional merchandise for a movie release? Gift with purchase promo's are great for increasing brand exposure and awareness about both the movie and the product promoting it. The collectible element of this gift also allows customers to engage with the brand to form a positive relationship. This free gift will foster tremendous awareness and remind people about Chinese culture which in the future will increase sales when customers want to cook Chinese food for example. Promotional Products Blog | Quality Logo Products, Inc.
Exhibition checklist infographic - The post Exhibition checklist infographic appeared first on IGO Ireland blog . Talking about Content Marketing for Entrepreneurs, on Women’s Web - Women’s Web put up this video of me talking about how entrepreneurs can use content marketing. Enjoy. Identity Promotions | Promotional Merchandise to make your Company or Brand Standout! Your Brand Partner – Staples Promotional Products Official Blog | Building your brand with passion, creativity and innovative promotional products. Promotional Products - Beating the "Fake News"